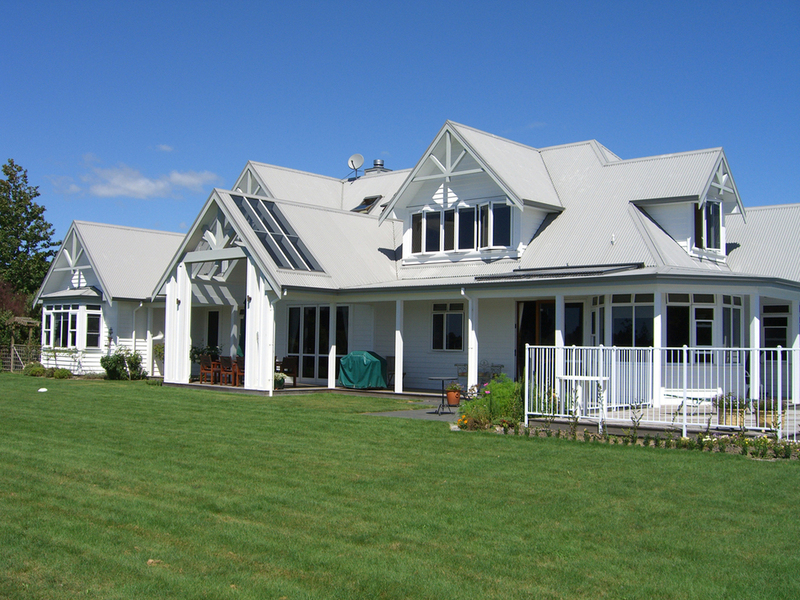 A large colonial-style family home was designed with outstanding views over the Wairoa River Valley in the Bay of Plenty region. 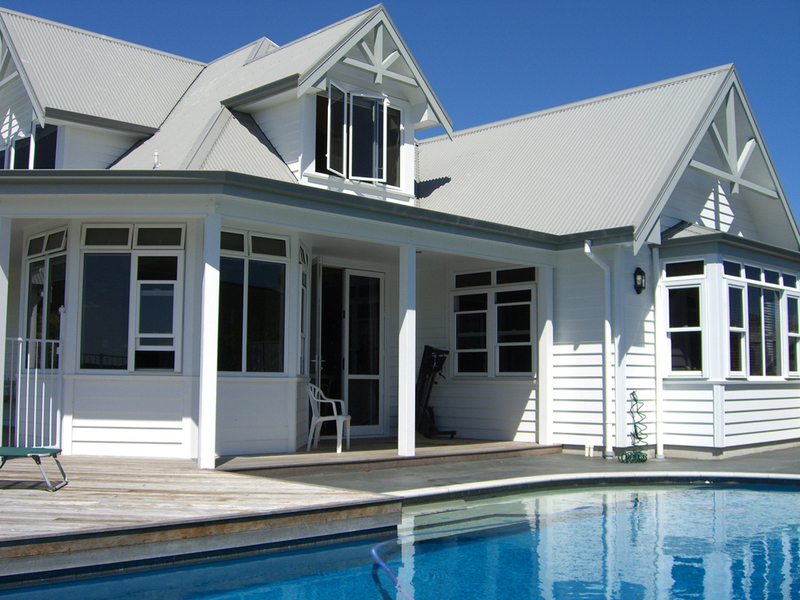 Traditional dormers and gables, weatherboards, bay windows and verandahs present a proud exterior. A formal entry with feature staircase leads to an upstairs master suite and home office. From the entry, oak floors lead through to the living area with its wide views towards the river. The latest in home automation provides modern living convenience while exacting attention to quality of finish provides the perfect backdrop for this comfortable, functional, and luxuriously appointed home.